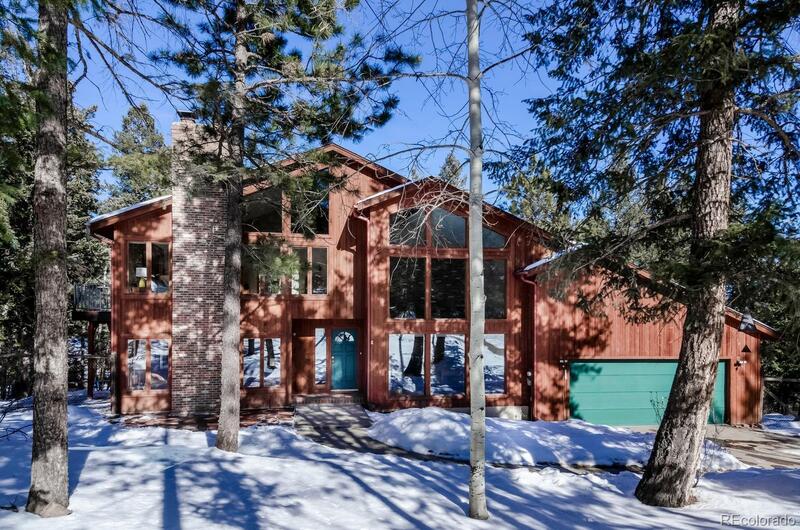 This updated mountain home is nestled within a park-like setting only steps away from Arapahoe National Forest or a short drive to Three Sisters/Alderfer hiking trail system. The remodeled gourmet kitchen includes slab granite, stainless steel appliances, commercial grade stove/oven, custom 42â cabinets. Hardwood flooring is throughout the main and upper levels with brick in the passive solar sunroom/office area with large windows to welcome the great outdoors. The spacious master suite provides extra room for a reading area with wood burning fireplace, a 5 pc remodeled bathroom and is tastefully finished with a private balcony for your morning cup of coffee or evening glass of wine. Just over an acre with front exterior flagstone patio, and is fully fenced while also offering a dog run or storage area. The large composite entertaining deck just off the dining room was rebuilt within the last few years and the roof was new in 2009. One of those rare finds.